You can’t pet this new pet ambassador. Goldie: golden retriever, certified good doggo and TU canine ambassador. But should she keep that job? I will concede that you’d be hard pressed to find someone on campus who dislikes her, and the prospect of firing a dog is basically begging for society to hate you. But we must think about what’s best for TU. And what’s best for Goldie. As a result of errors in her training, Goldie doesn’t do well in crowds. Public appearances cause her so much anxiety that she needs to be hopped up on drugs to comfortably socialize with lots of people. This is no way to live. That’s why I suggest that we do what’s fair for Goldie by allowing her a well-deserved retirement and replacing her with a more willing pet. First off, a goldfish would fit in perfectly with our university’s colors, and we wouldn’t even have to change their name! 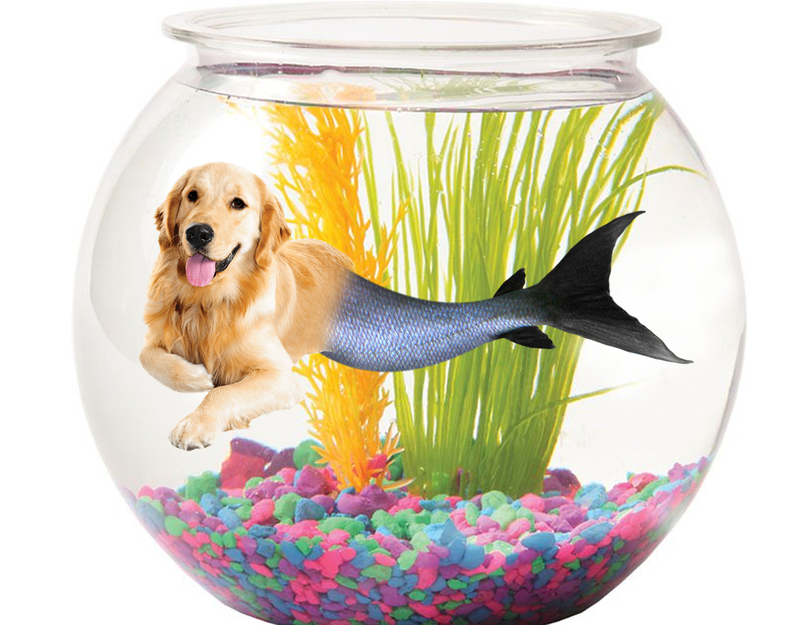 Public appearances would be a breeze for Goldfish Goldie. With such a short-term memory, there would be no fear of accidentally traumatizing her. Training would be rendered ineffective and unnecessary, making the switch quick, easy and definitely cost-effective. She could also live in the Fishbowl! How perfect is that? On display for everyone, that space is underutilized prime real estate wasted on hopes of future esports teams. Let’s just stick a fish in there! So make the right choice, TU. Let Goldie retire to a nice fair upstate and give the people what they want: bubbles, scales and bugged out eyes. Just adorable.